The West Country 2016 Picture Gallery! 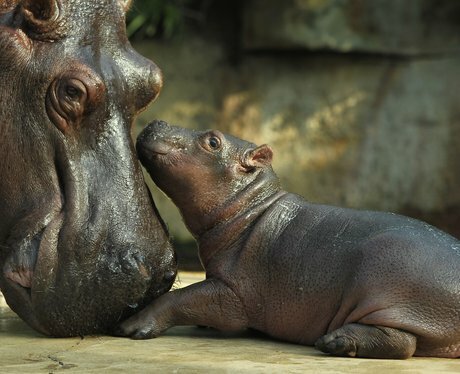 A baby pygmy hippo arrived at Bristol Zoo in 2016. The birth is great news for the species which is endangered and rarely seen in the wild. Pygmy hippos are, as the name suggests, much smaller than the common hippopotamus, with proportionally longer legs, a smaller head, less prominent eyes and ears more towards the side of the head. The pygmy hippo's nose and ears can be closed underwater, an adaptation to aquatic life. See the full gallery: The West Country 2016 Picture Gallery!